I got some for Easter! Can't wait to eat them! Happy Easter! Choccie eggs are dangerous!! 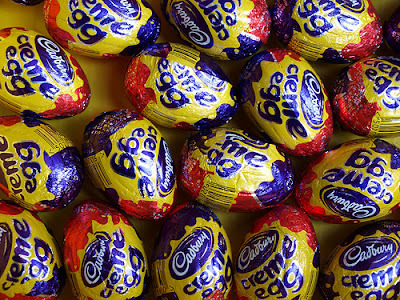 Yummmm, cream eggs my FAVE! Technically you only get em once a year so don't be too hard on yourself ;D Hope your holiday was fab hun!